During our week in Scotland in July 2012 we visited Stirling for a day. It was my husband’s idea to see it since his favourite movie is the Braveheart. 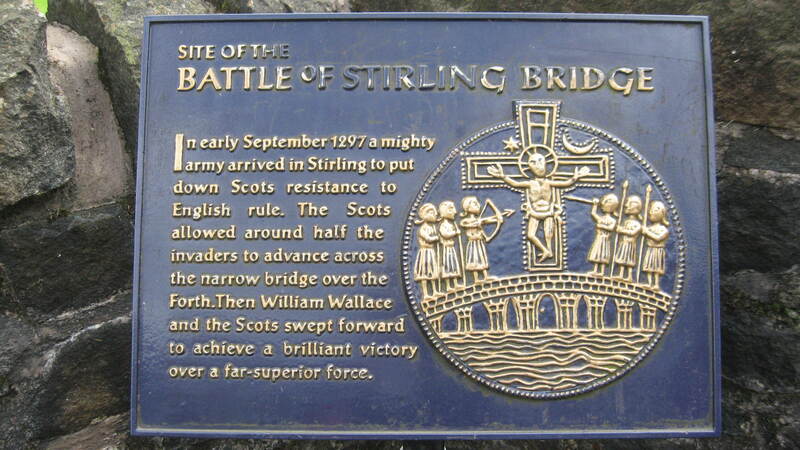 The hero of the movie William Wallace was in the real life a Scottish knight who won the Battle of Stirling Bridge in 1297 against the English army in the War of Scottish Independence. Alas, he was captured a few years later by the English and suffered a gruesome death. It was pouring down in Edinburgh when we almost ran from our hostel to the bus station to catch the local bus to Stirling. But the weather soon picked up and our day in Stirling was even warm and sunny unlike the rest of our week in Edinburgh and Glasgow. I felt a bit sick on the bus but the green landscape and cows and horses and sheep which I saw from the bus soon cheered me up. We got off the bus at Stirling bus station and took another one that went to Stirling University campus. That was a waste of money because our original bus also went there. 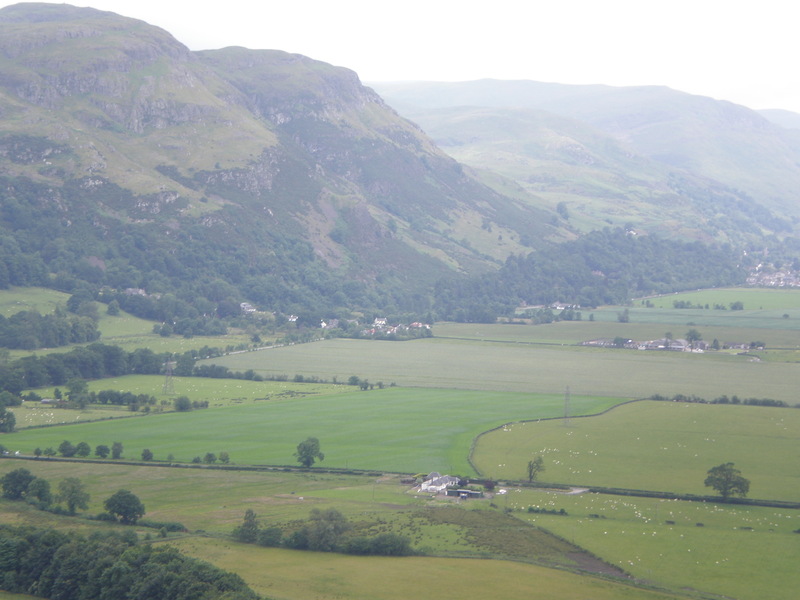 We told the bus driver where we wanted to go ( The National Wallace Monument) and he left us in the middle of the road not far from the monument. We saw it atop a hill and walked on until we got to the Visitor’s center. So it’s a bit tricky to get to this landmark if you don’t have a car since it’s actually located outside Stirling and relatively close to Stirling University. We went down by a mini-bus. Yes, there’s a mini-bus that takes visitors uphill to the tower from the visitor’s center. Before that we bought our certificates in the tower’s shop which prove that we climbed to the top. I’ve got a similar one from the Monument, London. In the visitor’s center’s tea room I had the most tasty scones and a toffee cheesecake with my tea. Thus fed and happy I could walk all the way back to the center. It took us an hour and a quarter to reach the Stirling Castle but it was a leisurely walk and we crossed the Stirling Bridge. 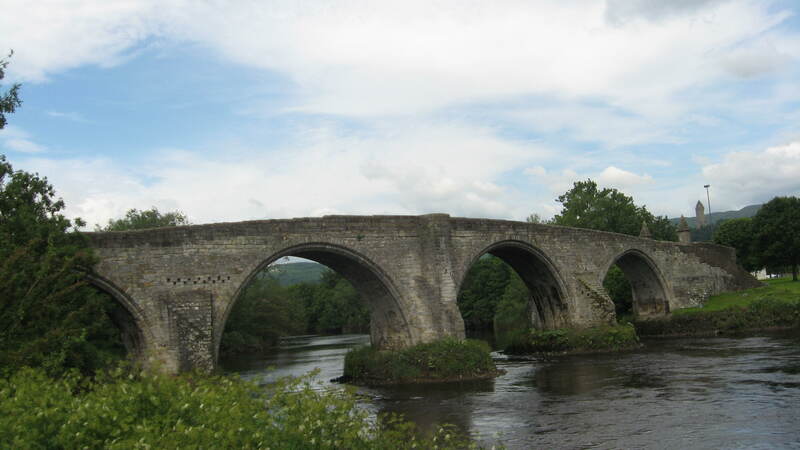 Old Stirling Bridge is a stone bridge on the river Forth. 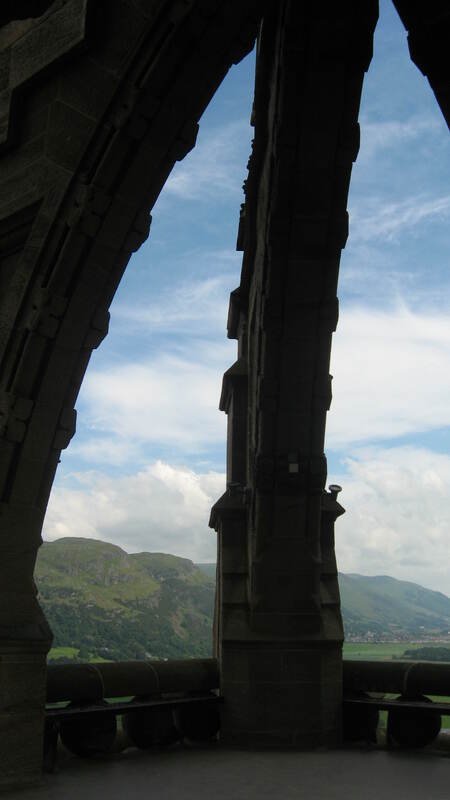 From the bridge you can see a magnificent view of the Wallace Monument on Abbey Craig hill. We continued our walk to the Stirling Castle but didn’t actually go in. We just loitered at the entrance and browsed in the souvenir shop. Since we’ve already visited the Edinburgh Castle we didn’t want to pay a ticket for another castle but we did want to at least see this one from the outside. 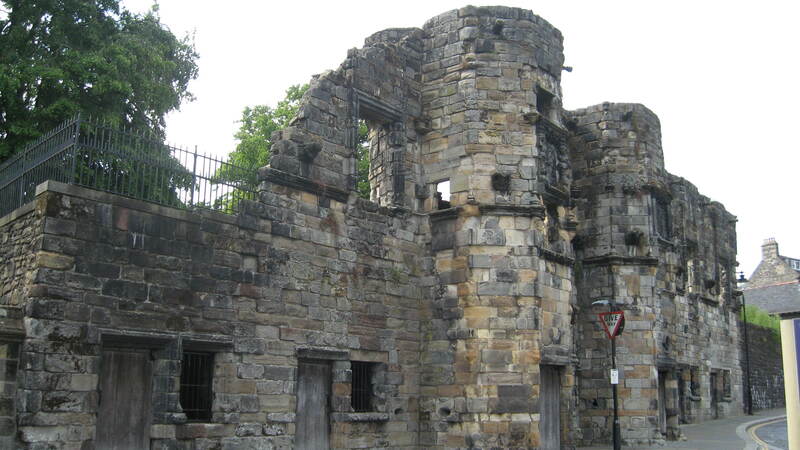 So, we went downwards from the castle to the city center and passed by several interesting sites such as Arglly’s lodge and Mar’s Wark and the Old Prison. At this point I was hungry again so we picked a small restaurant and had lunch. I was worried that we would be left with a lot of Scottish Pounds which would be useless in London but in the end we didn’t get a lot of them and we did manage to spend them whilst in Scotland. I think you can change them to regular pounds in a bank but we were told that they aren’t accepted in shops in England. We sometimes got the Scottish ones as a change in the shops. They are prettier though than the regular ones. I drank a rose lemonade at the restaurant and we ate pasta. I know, not very Scottish but my husband did have the haggis in Edinburgh. After the lunch we walked around the center for a bit and bought some souvenirs and took our bus back to cold but beautiful Edinburgh. It was a great day trip! 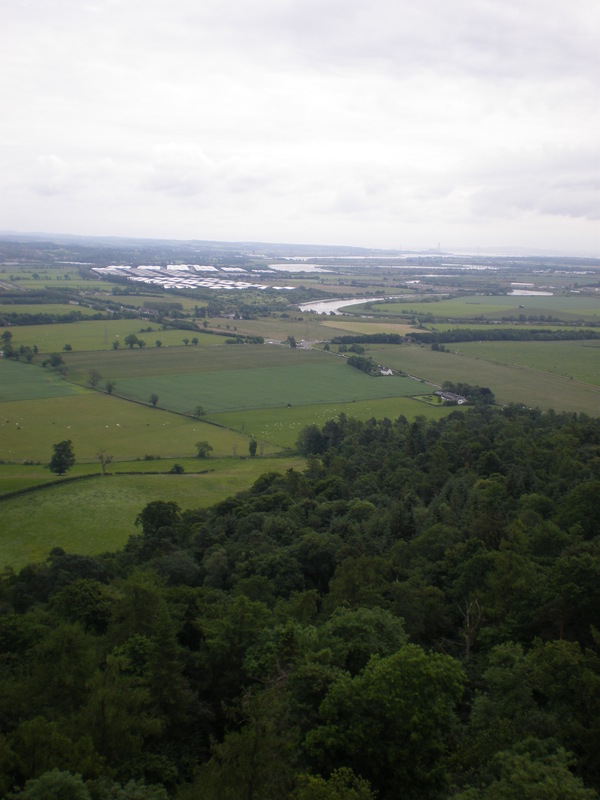 I thoroughly enjoyed walking around Stirling and the Wallace Monument was really great. This post is also available for offline reading and free download as a travel article app. If you choose to upgrade (to get GPS navigation) I’ll receive a small commission. Thank You! To get the app click here. I’m surprised by how many people actually don’t visit Stirling. I mean it’s a lovely place to visit (I live there and it becomes not so nice, but to visit for a day definitely is!). 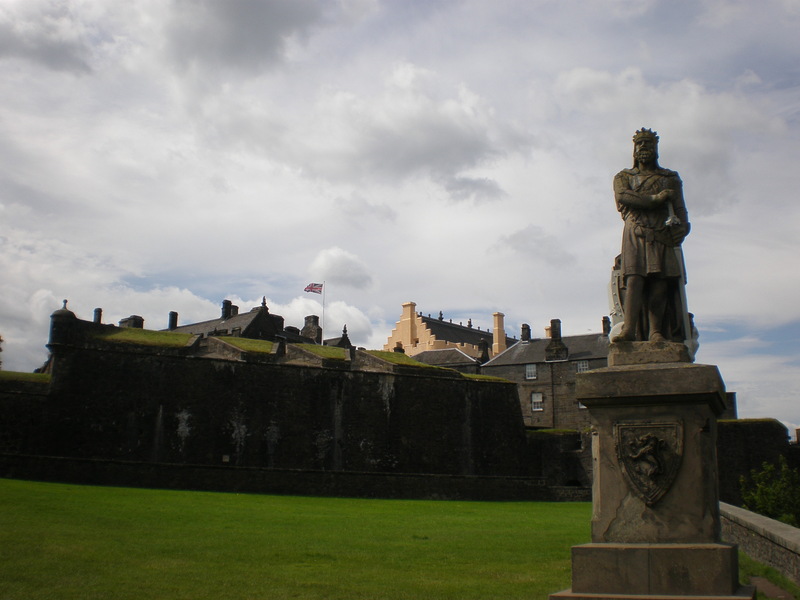 What a shame you didn’t go into Stirling Castle (though I understand, both Stirling and Edinburgh are pricy!) I found it even better than Edinburgh Castle. thanks! 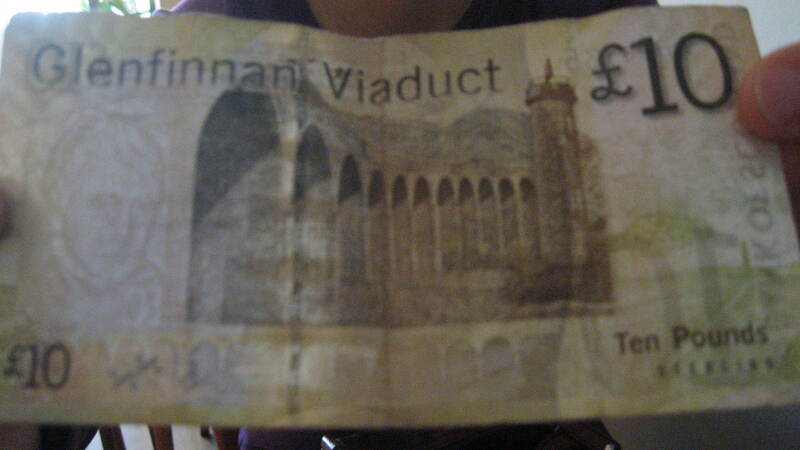 because I was told the same, that stores in England won’t accept Scottish pounds. in the end we didn’t have many left .. 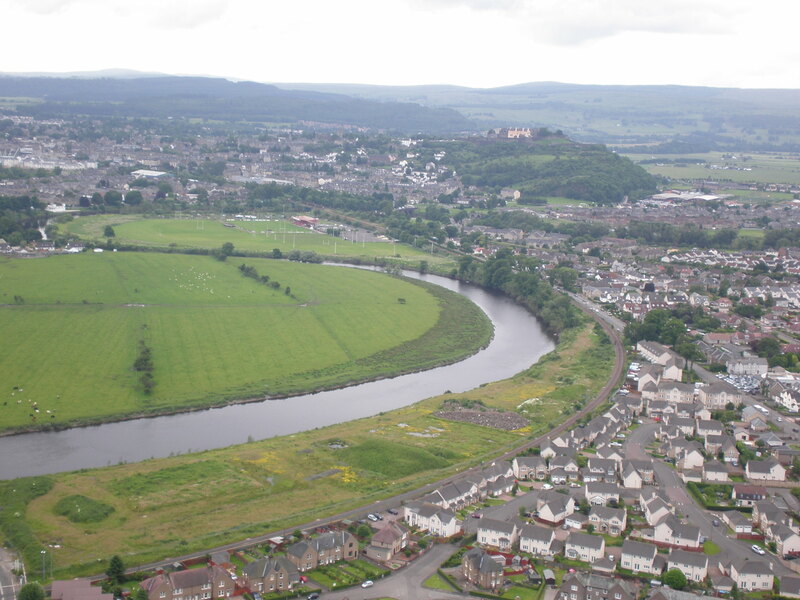 I loved Stirling! yes, we should have gone to the castle too..
My sister went to university in Stirling and encouraged me to visit but I didn’t have enough time. I made it to Edinburgh instead. I can see why – it really is pretty. 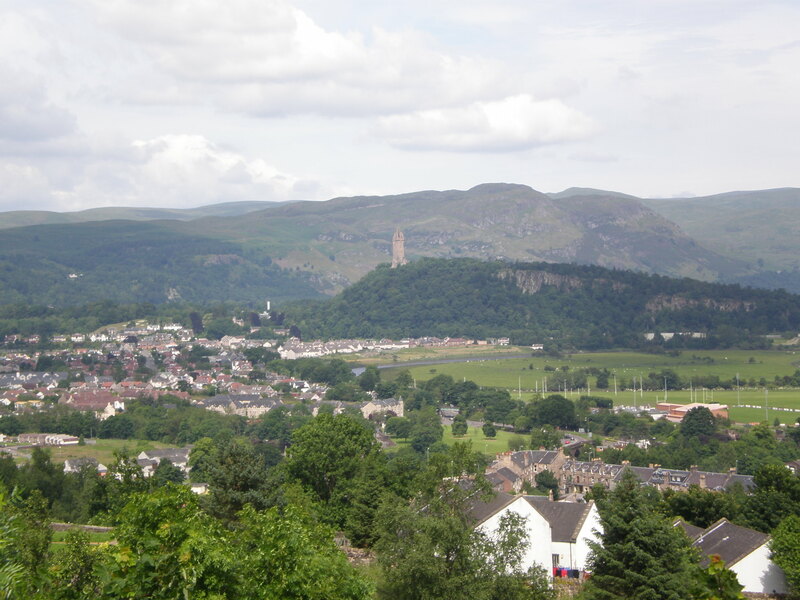 I never visited Stirling, though I loved my trip(s) to Scotland (and Wales and England) a lot! Your views from the towers and of the tower itself are spectacular. Thanks for sharing them with us. 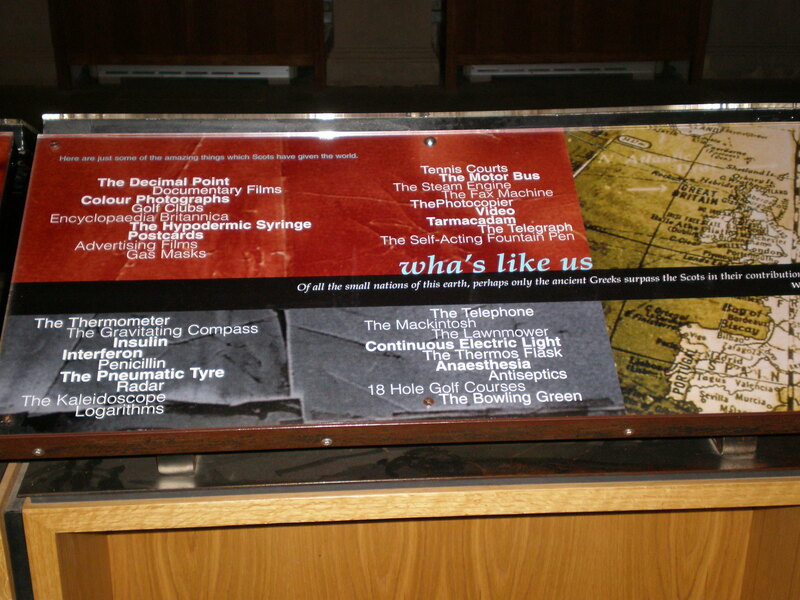 We also ascended the monument – isn’t the tale fascinating? The Scots must think a lot of Mel Gibson to erect such a fine monument to him. Joking aside, it looks like a very nice part of the world. I haven’t read your Edinburgh post yet, so I’m not sure whether you mention it or not, but I was wondering what your husband thought of haggis. I’m glad he liked it. I’ve heard some people find it a bit on the spicy side. As for Mel Gibson’s accent, I can’t remember it all that clearly, although I definitely watched and enjoyed the movie. The main thing I remember him saying (because it got a laugh from the entire audience) was something about how he could blow fireballs out of his backside. Of course, he may simply have been referring to his haggis-rich diet. Scotland is such a fascinating place, particularly when you learn a bit about its history. 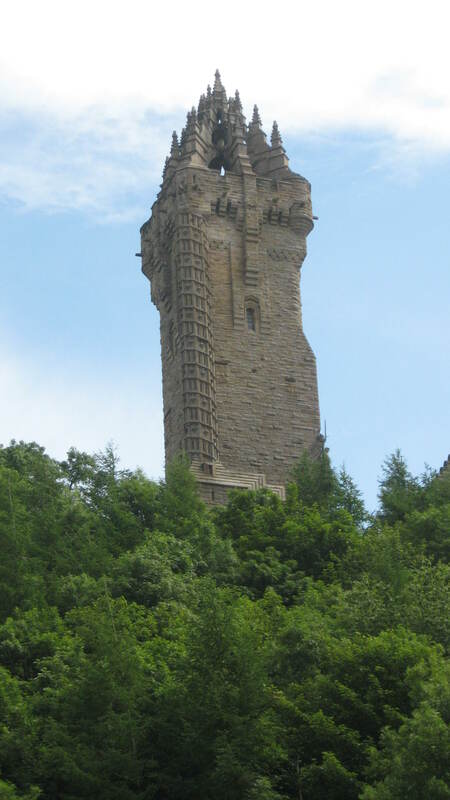 We didn’t stop in Stirling, just went whirling by, but we did see the monument from the road. It looks like quite a climb! That’s a really bizarre-looking tower! So unusual! I’ve been there a couple of times and really loved it. Looks cool. I read your Edinburgh post too. I’ve never tasted Haggis! The weather looks pretty dismal but to be expected I suppose. It is quite atmospheric though especially if you are in a pub with a fireplace. Do you think I really have to taste haggies in Scotland? Amazing! 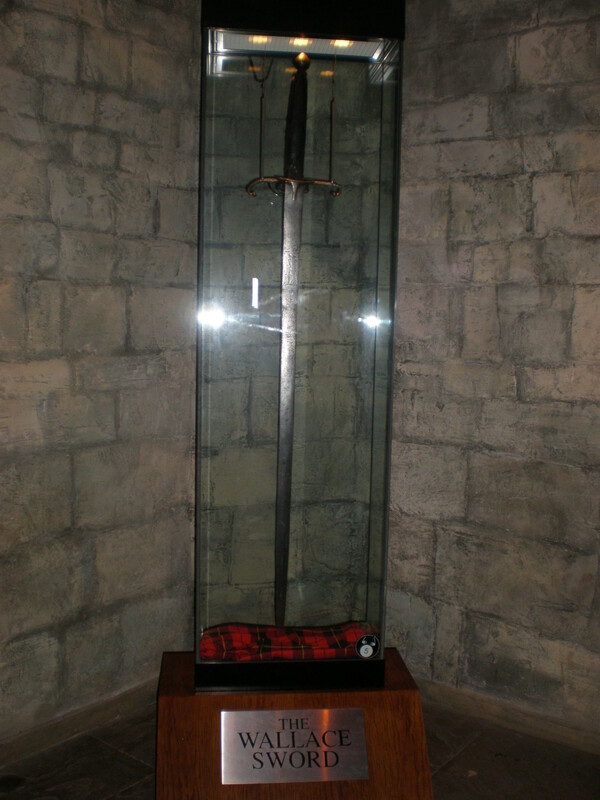 I love William Wallace, have never been here though! The University looks really cool. I would love to have gone to a uni like that one. It is like Harry Potter or similar. I have always thought Scotland sounded like a fun place to visit. 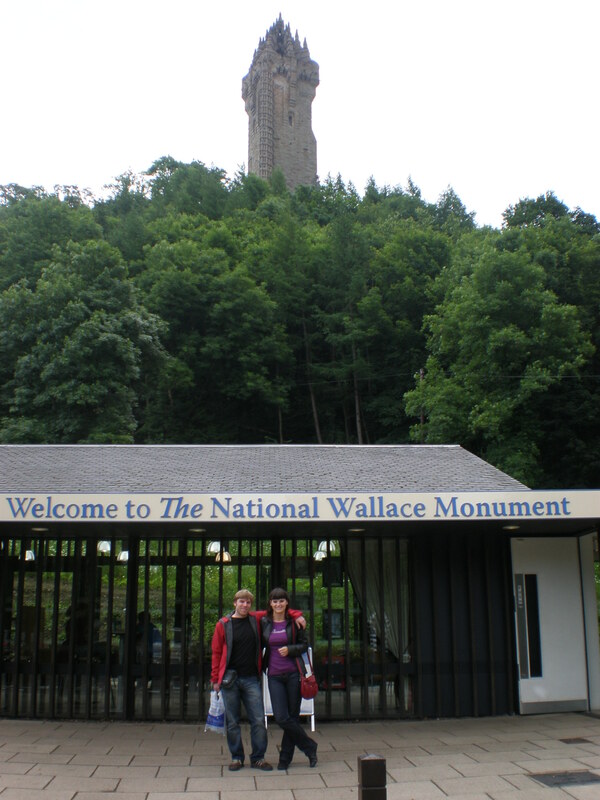 I have never heard of the National Wallace Monument, its so beautiful! I cant wait to read more about your trip to Scotland! thanks!Have you read first part of Edinburgh?